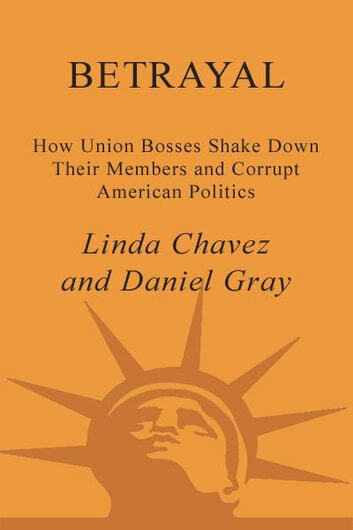 Linda Chavez, President George W. Bush’s original choice for Secretary of Labor and a former union official, is one of the foremost authorities on America’s labor unions. 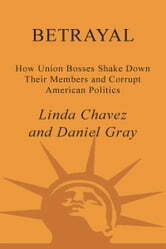 Now, in the explosive new book Betrayal, she and fellow union expert Daniel Gray expose the corrupt bargain between the labor movement and the Democratic Party. Committed to a far-left political agenda—and to enhancing their own power—union bosses funnel at least half a billion dollars into Democratic coffers every year. And they do it, illegally, by using dues money that workers are forced to pay as a condition of their employment—dues money that each year brings the unions $17 billion, all of it tax-free. What do labor bosses get in return? The power to call the shots in Democratic campaigns and on party policy, extraordinary influence at all levels of government, billions of dollars in taxpayer-funded federal grants, and special legal privileges that leave them free to act as they please, no matter the consequences for the American people. The cycle of corruption is seemingly endless. All of us foot the bill for this corrupt system. Now it’s up to us to do something about it.